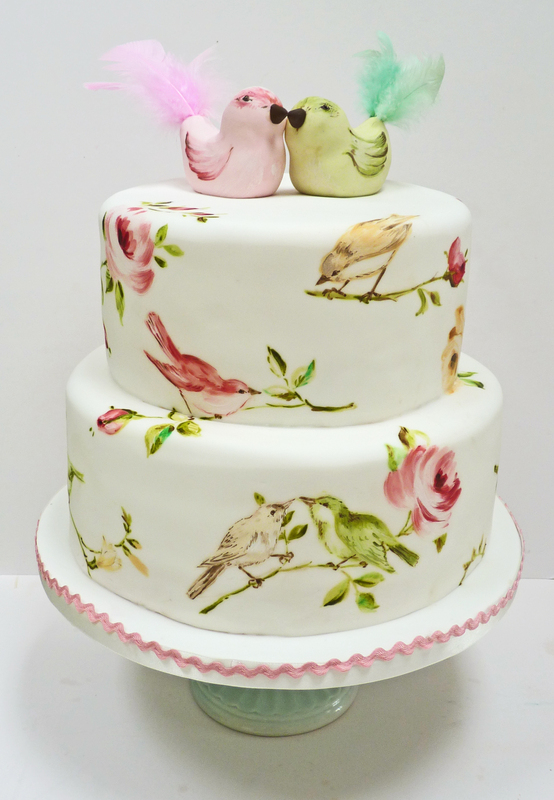 We are delighted to announce a date for this new class, a romantic style cake with a mixture of birds and flowers. 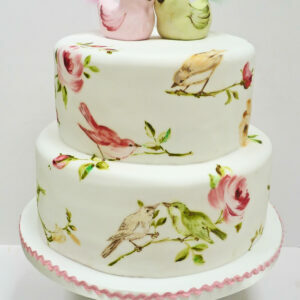 The class will teach the basics of how to paint on cakes, how to prepare the fondant, how to water down the paint, which brushes to use and the process of applying the paint to the cake. How to lay out a design, and how to correct mistakes. Also what reference to use and how to transpose your chosen image into a painted design. Natasha will be sharing lots of painting tips and techniques that will help give movement and depth to the design. Roses, concentrating on the centers of the flowers, shape and layering of petals and the positing of the flowers. How to create depth and movement in a flower, which will include using white paint. How to paint roses at different angles.